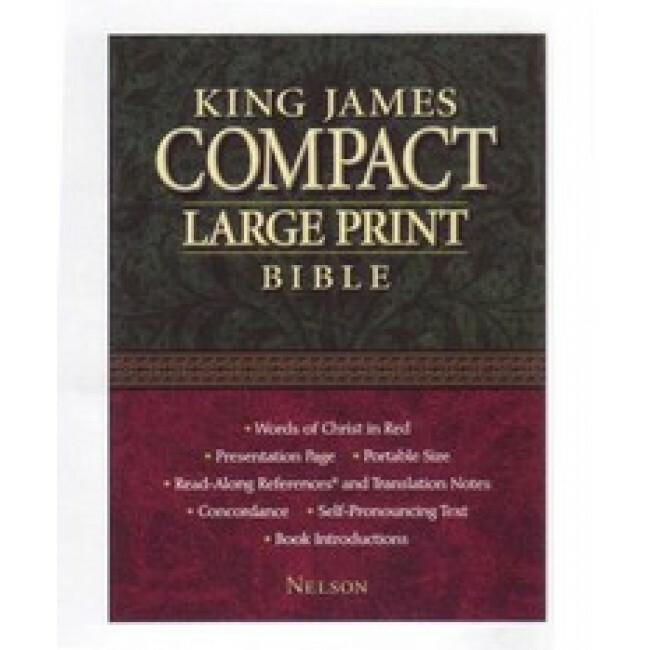 for ease of reading and a size that is supremely portable. This King James compact large print Bible is a giant value in a small package;large print for ease of reading and a size that is supremely portable. The extra study features will enhance the time spent in reading or studying with conveniently placed cross-references and explanatory notes. The family record section makes this a great gift for a friend or loved one. Black bonded leather 0718008979. Bugundy bonded leather 0718008995.